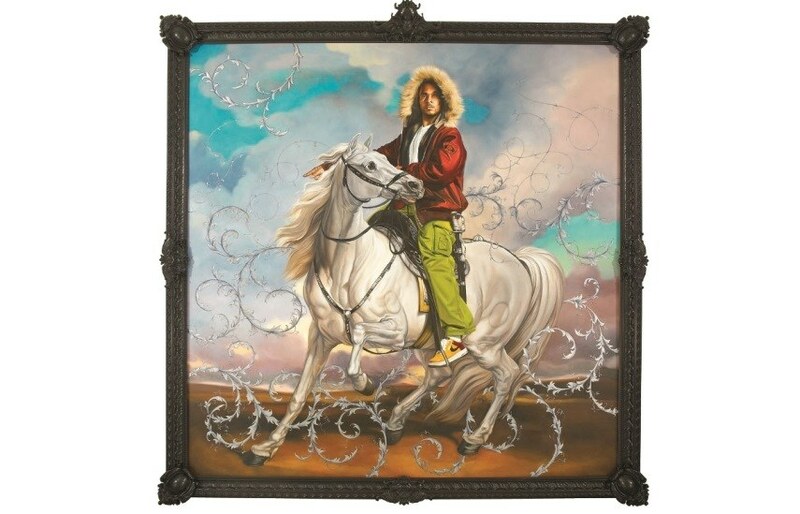 The art of Kehinde Wiley is truly unique, particularly when it comes to subjects of his paintings. Best known for his highly naturalistic paintings of people with brown skin in heroic poses, Wiley always has a clear political statement behind his works. 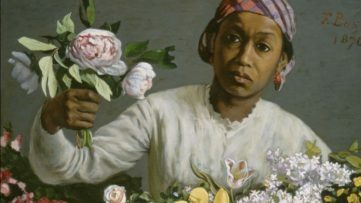 By representing African American women and men using the conventions of traditional European portraiture, the artist actually deals with the politics of representation and the position of African Americans in contemporary American society, as well as with the position of African Americans in cultural and historical narratives. 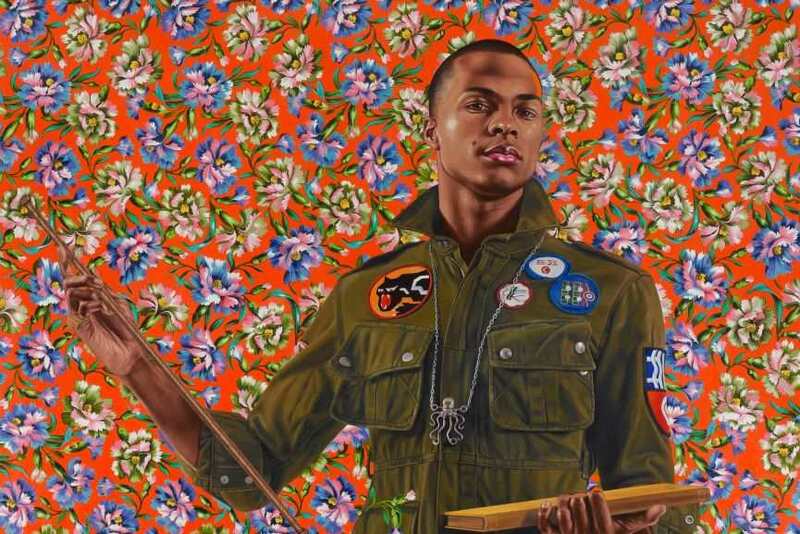 Following the artist’s exhibition at the Brooklyn Museum in New York in spring 2015, the Modern Art Museum of Forth Worth organizes a show entitled Kehinde Wiley: A New Republic. 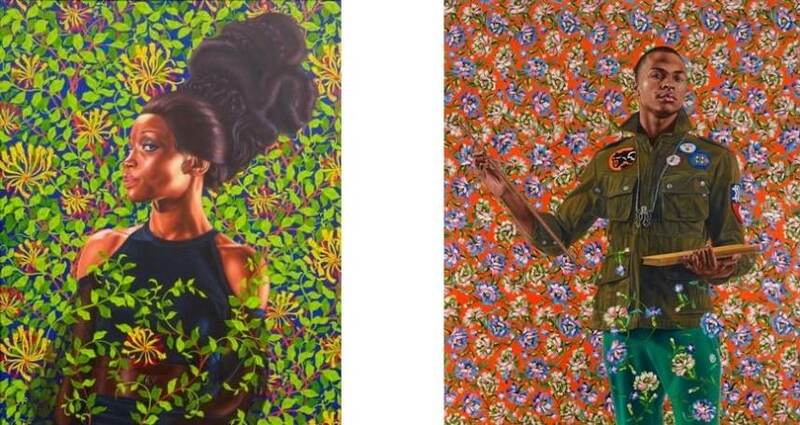 Born in Los Angeles, Kehinde Wiley’s works are in the collections of over 40 museums, including the Los Angeles County Museum of Art; Museum of Contemporary Art, Los Angeles; Hammer Museum, Los Angeles; Metropolitan Museum of Art, New York, and others. Wiley usually creates portraits, and his painting style has been compared to that of such traditional portraitists as Reynolds, Gainsborough, Titian and Ingres (be sure to check out our article about the magic of portraiture). However, he is also interested in politics of representation. 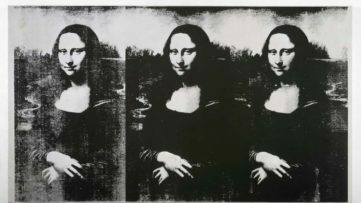 Many of his works raise questions about race, gender, and the politics of representation by portraying contemporary African American men and women. Wiley goes quite deep in deconstructing the image of African Americans in historical and cultural narratives. His desire is to represent the absence of African Americans from these narratives, letting the viewers to reflect on what the reasons for that might be. So, when he is dealing with the race and politics of representation, Wiley actually examines the reasons for absence of representation of African American people, and the politics standing behind this representation. 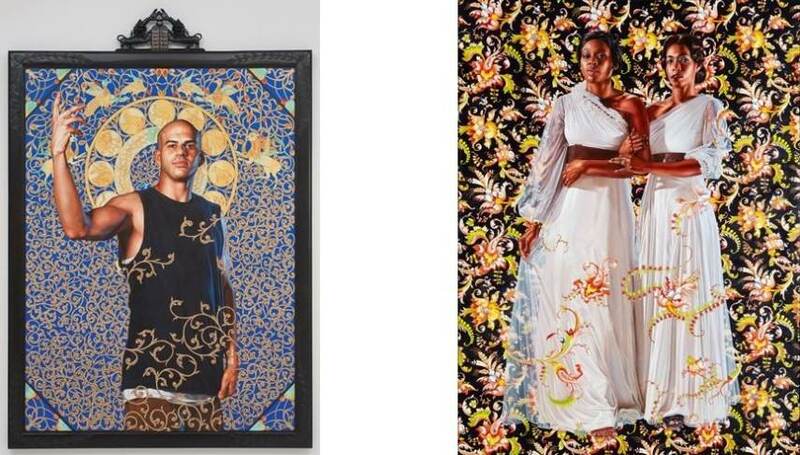 Kehinde Wiley: A New Republic exhibition at the Modern Art Museum of Forth Worth will present an overview highlighting the range of the artist’s prolific 14-year career and comprising approximately 60 works. The exhibition begins with early examples of paintings inspired by Wiley’s observations of street life in Harlem; these images of African-American men mark the onset of his focused exploration of the male figure. 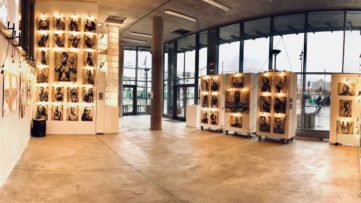 In subsequent work, Wiley further examines the European tradition of portraiture, taking specific paintings by renowned masters such as Titian, Van Dyck, and Manet and replacing the historical subjects with contemporary, young black men sporting fashionable urban gear. A New Republic also includes a selection from the artist’s ongoing World Stage project, examples of his bronze busts, and a chapel-like structure that showcases his new stained-glass “paintings”. The exhibition is organized by the Brooklyn Museum and Eugenie Tsai, the John and Barbara Vogelstein Curator of Contemporary Art at the Brooklyn Museum. Special exhibitions are included in general Museum admission: $10 for adults; $4 for seniors (60+) and students with identification; free for children 12 and under; free for Modern members. 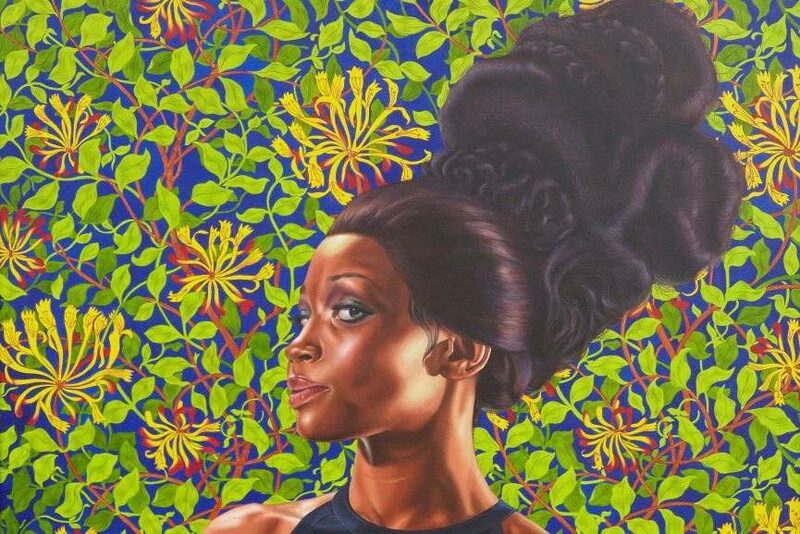 Kehinde Wiley: A New Republic exhibition will be on view from September 20, 2015 until January 10, 2016 at the Modern Art Museum of Fort Worth, in Fort Worth, Texas. Are you interested in contemporary art? Sign up for My Widewalls, and stay tuned! It’s free of charge! All Images courtesy of the Modern Art Museum of Fort Worth.